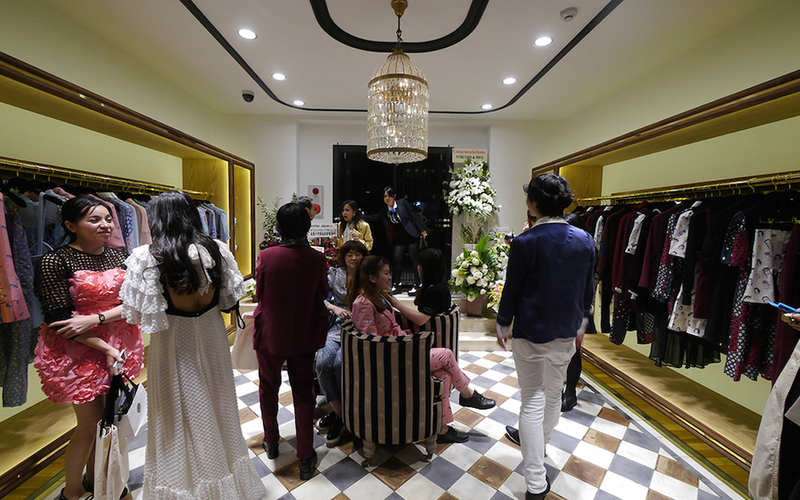 The women fashion and accessorize brand based in Bangkok, Thailand has opened its first flagship store in Aoyama, Tokyo, Japan. 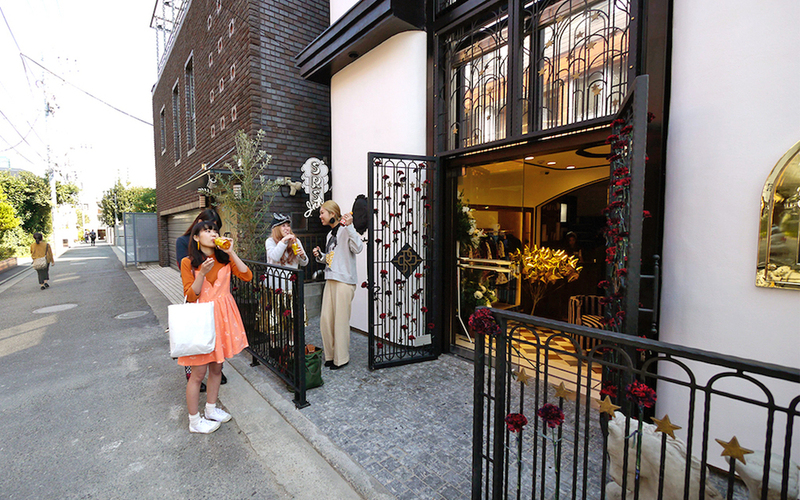 The store design is based on a concept of ‘Inn’, a mini hotel. The new facade of Sretsis Inn is meticulously planned to cover up the unpleasant structure and appearance of the existing building. The facade design approach is to metaphorically use a plain big white fabric to wrap the entire building and with simple seam lines finishes (sewing techniques that are used in the fashion industry). The seam lines are depicted into wood moulding painted black to get the layering effects of exterior facades. The mouldings follow the interior flooring of the building’s structure, ground floor, second floor, and third floor. Gentle curve corners imbued with delicacy that is found in fabric. The interior design of the Sretsis Inn offers consumers with a new kind of shopping experience through the use of numerous design materials and elements. From a pastel dreamy carpets filled with stars and sky to wooden victorian closets and displays that are ornamented with mystical creatures. 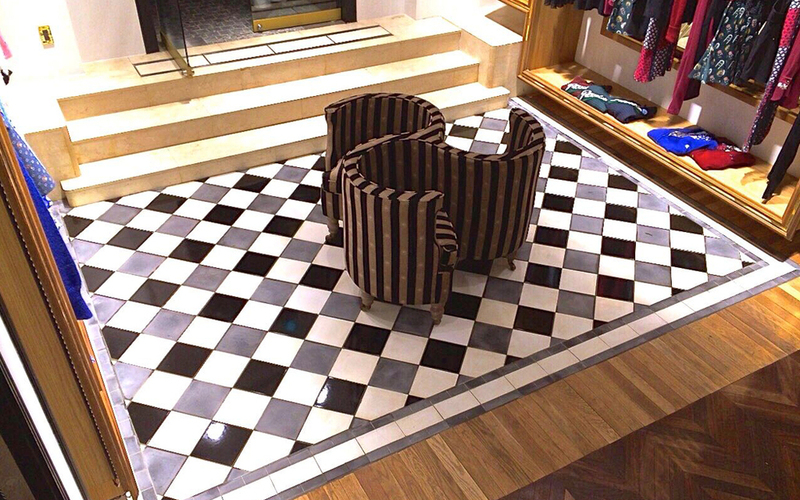 The first and second floor are for retail purposes, showcasing the Sretsis collections. 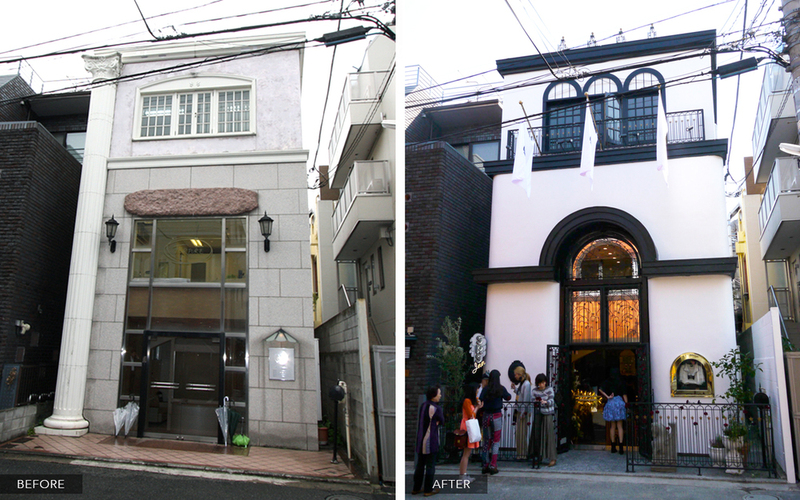 Thus, the third floor convey a lived-in, homelike feel of the main concept of ‘inn’.